Thinking about upgrading your business phone service to a Managed Service Provider? Is your business phone system more than 7 years old? Of the many benefits your business achieves by upgrading, one of the most important is improving your customers overall experience. Proper implementation of Interactive Voice Response (IVR) is the first step to giving your customers the best experience. Veer off from the status quo and avoid common system aspects that don’t make sense to your callers. Below are six tips to help improve your auto-attendant systems and win your callers hearts. Stick to what’s essential and straightforward and don’t bore your callers. Prompts such as “hang up to end this call” are unnecessary. It is also quite evident that the caller should leave their contact info at the end, so there is no need to remind them. Nothing bores a caller more than irrelevant, unending options. Limit the choices on your IVR to increase the chances of your callers waiting to the end of the call. It’s also essential to use a unique overflow option and list your prompts from most frequently applied to the least often used to hasten the process. Avoid lengthy company descriptions in the opening message, and save it for the on-hold component. Remember that people have very short attention spans. Hence, it’s vital to load the beginning with the most crucial or urgent information. It is unnecessary to distract your staff from their regular tasks to answer common call requests. Creating a prompt that explains the seemingly simple questions keeps your team from being interrupted and helps your client get the information faster. This worked well in the past, but now people need to listen to a human, conversational voice. To achieve this, it’s important that the script is written in this tone. If you’re looking for a phone system that meets these criteria then look no further than Digital Agent. 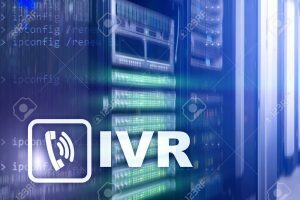 We will design an IVR that sets your business apart from the rest. Contact us and learn more about how our IVR services will also help you improve employee productivity, business efficiencies, and help you save money by avoiding excessive maintenance costs.